MaxiMuscle Cyclone- Ultimate "All in 1"
Cyclone is an all-in-one shake designed to meet the specific needs of serious exercisers. If you want to push yourself in training, the creatine in Cyclone can help take your training to the next level. Cyclone is a low sugar, high protein shake that delivers 25g of fast acting BioMax Whey True Protein to aid muscle growth. Every serving is also packed with Calcium HMB, Zinc, Glutamine, and the scientifically proven performance booster, Creatine. For individuals looking for muscle growth and development - protein is the key. Maximuscle Cyclone offers a convenient way to boost the protein content of your diet, with added creatine. Every serving of Cyclone provides 1.5g of calcium HMB - a metabolite of the essential branched chain amino acid, Leucine. 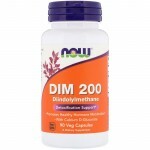 Cyclone also contains 2.5mg of Zinc. 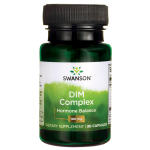 Zinc is proven to contribute to protein synthesis and maintaining normal testosterone levels. Maximuscle Cyclone has been reformulated, optimised and improved. Cyclone still contains all the historical ingredients which make this shake a popular all-in-one performance shake but the new formula contains Biomax Whey True Protein - a balanced blend of whey proteins to ensure that the protein within Cyclone is fast acting. Typically, food protein concentrations are theoretically calculated based on the total nitrogen content, but this can cause some variances in the derived protein level. Maximuscle have gone one step further by validating the protein concentration in Cyclone by comparing the weight of the individual amino acids with the calculated factored amount; qualifying this as BioMax Whey True Protein. We guarantee that every serving of Cyclone provides 25g of high-quality BioMax Whey True Protein to help support the growth and development of muscle. For Maximuscle Athletes and Ambassadors, Cyclone is the preferred choice - they can go into competition with peace of mind, knowing that all of Maximuscle products are screened for banned substances and accredited by the Informed-Sport programme. Maximuscle Cyclone is the ideal product to support your strength and power goals. Try Maximuscle Cyclone bars as a suitable alternative, perfect when you are on the go. For additional support, try Maximuscle MAX ZMA, capsules packed with key vitamins and minerals to assist natural testosterone levels and protein metabolism. What is in Maximuscle Cyclone? 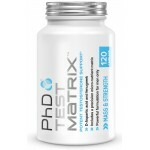 PhD Nutrition Synergy Iso7 2kgPhD Nutrit..
PhD Nutrition Test Matrix™ 120 capsulesP..
CNP Pro Test XTR - 120 Capsules Pro Tes..
What Does DIM + CDG Do?DIM + CDG su.. 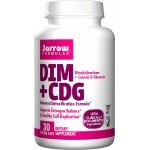 Supports hormone balance for both men an..